The Dell Inspiron 22 3000 AIO is available from Intel and AMD processor models. Dell has launched its latest Inspiron 22 and Inspiron 24 All-In-One PCs in India. The Inspiron 22 comes in two processor variants, one with up to 7th Intel Core i3 processor or an AMD A6-9225 processor with Radeon R4 Graphics. The Inspiron 24 is equipped with up to 7th Gen Intel Core i5 processors. The Inspiron 22 3000 AIO with AMD A6-9225 processor is priced at Rs 29,990, while the Intel-powered Inspiron 22 and 24 3000 AIO start at Rs 34,590. The devices are available for purchase from the company's website, exclusive offline stores, multi-brand outlets and Croma. Dell in India today announced the launch of a new range of Inspiron All-in-Ones desktops; Inspiron 22 3000 AIO & Inspiron 24 3000 AIO. The new range of Inspiron AIO offers an unforgettable viewing experience in a virtually borderless Full HD Anti-Glare IPS display, built-in stereo speakers and pop-up webcam in one slim panel with multiple processor options to choose from. Powered by 7th Generation Intel & AMD Processors and with multiple GPU options to choose for high performance, the AIOs are available in black and white colour variants. 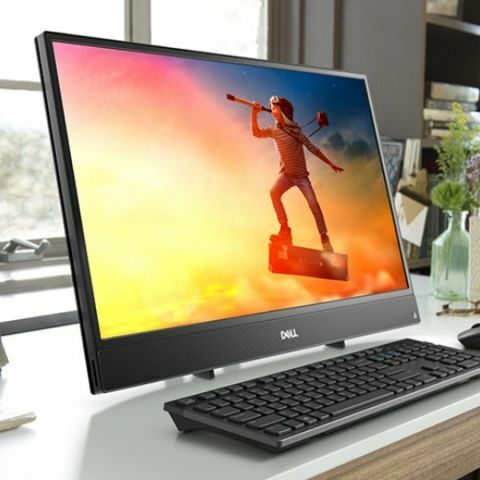 The AIO portfolio is equipped with key features of Dell’s 2018 innovation – Dell Cinema. Waves MaxxAudio Pro boosts volume and clarifies every tone while SmartByte channels maximize bandwidth for a stutter-free experience. With Dell CinemaStream and Dell CinemaSound, a virtually lag-free video streaming and top of the class audio experience has been made possible for the AIO user. Availability: The Dell Inspiron 22 3000 AIO & Inspiron 24 3000 AIO desktops are now available for purchase in India on www.dell.co.in and across the country at Dell exclusive stores, multi-brand outlets and Croma.